One passenger was killed, at least three were critically injured and 16 others sustained less severe wounds, as two commuter trains collided head-on in Catalonia, the local Civil Protection service tweeted. At least 76 more passengers suffered minor injuries, it added, while 100 others walked away from the crash unscathed. 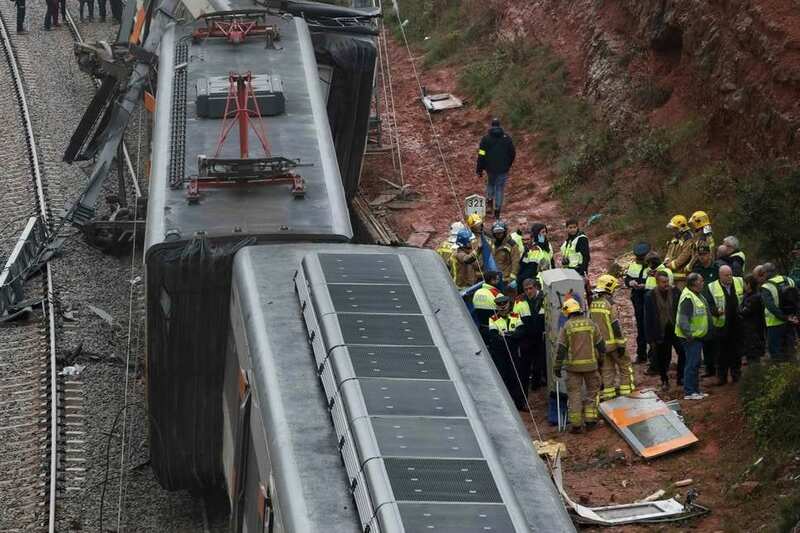 Footage from the scene shows two trains literally fused into one another, while shocked and injured passengers rest on the adjacent rail tracks. The incident occurred late on Friday in the Sant Vicenç de Castellet municipality of Barcelona. Both trains – that were supposed to be operating on different lines – sustained considerable damage yet managed to stay on tracks. The crash disrupted commuter traffic as the R4 and R12 lines have been closed by the train operator until further notice. Over 400 people were stranded due to the incident, the train operator has said. The people, stranded due to the crash, have been evacuated from the scene by buses. A train was also dispatched to the scene to pick up the injured and those who could not walk to board relief buses. Before that, people were forced to wait for more than an hour at the tracks. Footage from the scene shows that night had already fallen when the spare train arrived. The exact cause of the incident remains unknown so far. The train operator announced it will launch an internal investigation into the crash. The person killed in the collision was reportedly the driver of the train, which was on its correct track. OTTAWA, Canada - Each year Canada’s capital city hosts countless festivals, concerts and shows that celebrate everything from food and drink to sport, music and heritage.